Oh, hello, I didn't see you there. Welcome to 7 days in phones – your one stop shop for everything mobile from the last week. It's been full of ups and downs with a lot of the middle in there as well. It feels like we hear about the future of smartphone technology once a fortnight, and we do, such is the nature of an evolving beast like mobile phones. Flexible smartphones is that one thing that keeps rearing its head and we've even seen the future arrive with the G Flex 2, which did take off in a small way. But a giant, the largest smartphone manufacturer in the entire world in fact, is now moving into the flexible market in a bigger way than it has before. 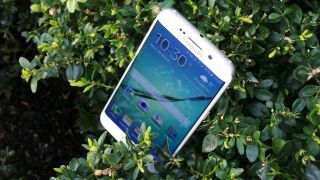 A report has suggested Samsung is looking into flexible technology for both the Samsung Galaxy S7 and the Galaxy Note 5, and if it turns out to be true that's awfully exciting. If Samsung continues to push the boundaries with products like the Galaxy S6 Edge and offers it as a sensible choice for consumers I really think we'll begin to see the future of smartphone tech in the coming years. Apple Watch is going to be flooded with apps as soon as you fit it to your wrist. At least, that's what Apple wants you to think. The company opened up its developer platform to third parties earlier this week in an attempt to fill the store ready for its release in three weeks time. Personally, I don't feel like the store is going to be that full. Just look at Android Wear. It's over a year since the platform rolled out now and I'm still only able to use four third-party apps on my wrist, and one of them is a a horrible truncated version of the hell that is Tinder. Even though it's open to third-parties I don't expect the store will be anywhere near full on day one and I'll be quite shocked if it's fit to burst on day 301. Winston had been recovering from his trip to the white store down the street full of blue geniuses and was still trying to comprehend everything he'd missed while under that pile of BlackBerry Storms. The world had changed. Everything was all "touch screen" now with an emphasis on sticking the letter i in front of things. Where was the BlackBerry store he'd been expecting to visit? It was time for Winston to bone up on everything he'd missed. He whipped out the Hearts On Fire montage music from Rocky IV, set himself up on his computer and trawled the internet to discover the past five years. He learnt about Ballmer, about Jobs, about the rise of HTC…everything in mobile tech. He learnt what a drone was, why he should care about 4G LTE and about the sad news of Thorsten Heins and his beloved BlackBerry. It wasn't just technology though, popular culture slipped through the cracks in his internet research and he found himself learning about the end of Twilight, Gangnam Style and what a Kardashian was. After several weeks with only toasted cheese sandwiches for sustenance, and an average two hours of sleep a night, Winston was startled by a knock on the door. He hobbled over to find his landlord stood frowning brandishing a bill no unemployed unicorn could hope to afford. Winston emerged onto the street with no where to go, yet still smiling. He was safe in his new found knowledge of the modern smartphone world. Come back next week to see whether Winston uses his new found knowledge for good or evil.